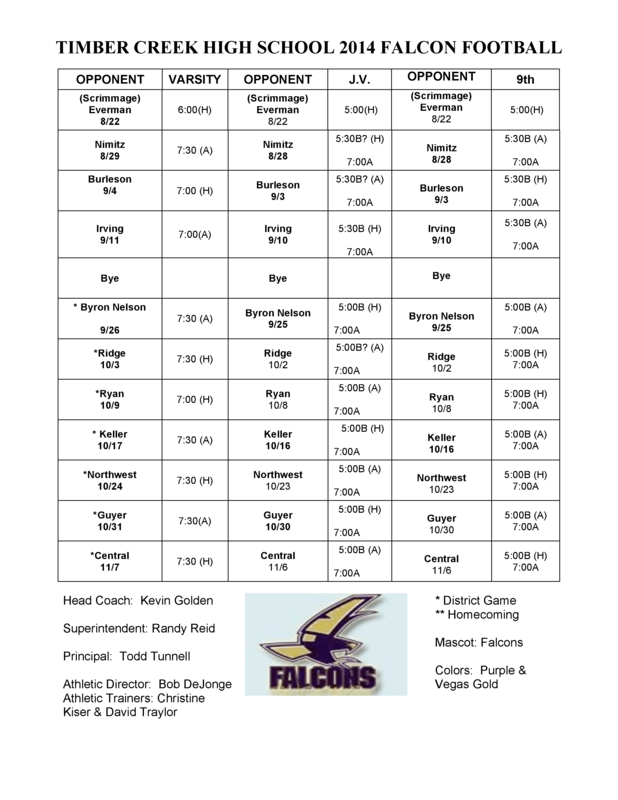 Cheer on your Falcons at these football games scheduled for the 2014-2015 season. NOTE: The following schedule is still tentative. Information from TCHS Athletic Booster Site.